The MET 2 metering pump covers the range of the medium and large capacities in the dosage and injection applications. 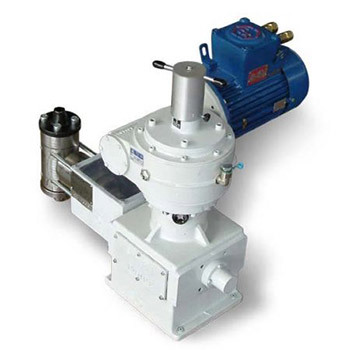 The pump is a positive return type and is designed for continuous service. During operation or standstill of the pump the stroke is continuously adjustable by means of a manual knob or by automatic control systems, pneumatically or electronically driven. The stroke variation is proportional within the whole adjusting range of 0-100% and guarantees linearity and repeatability of the flow in accordance with API 675 requirements. Special executions for less than 1 l/h and pressure up to 1500 bar are available. For the hydraulic end there are two versions available: plunger and diaphragm. The diaphragm head is hydraulically actuated and the diaphragm is double with a monitoring system which allows failure detection.